This idea aligns with some broader trends as well. 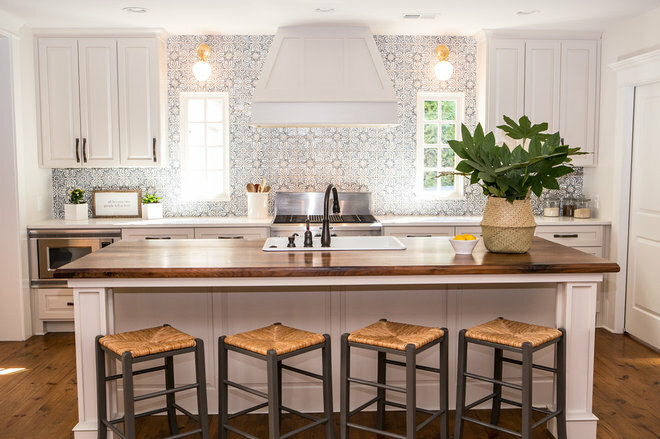 The 2018 Houzz Kitchen Trends Studyshows that half of homeowners are opening up their kitchens to interior spaces, and that the most popular kitchen layout is the L-shape. This openness means the kitchen is always on display and therefore in need of a good focal point. 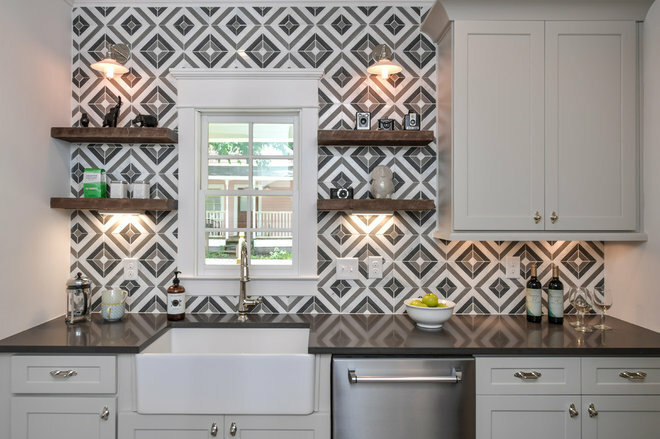 A full-tile feature wall draws your eye in, whether through shimmer and texture with something like a simple white subway tile or through bold color and pattern as with a Moroccan design.